In the early days of the modern VR renaissance, Space Bullet’s Vox Machinae was one of the most impressive demos that early owners of the Oculus Rift DK headsets could try out. After years of hard work, the team is ready to launch the game into early access on both the Oculus Store and Steam. The game will support the Oculus Rift, HTC Vive, and Windows Mixed Reality headsets, as well as players using regular screens. Vox Machinae tells the story of a war between corporation that is fought with giant mechs over a desolate future Earth. 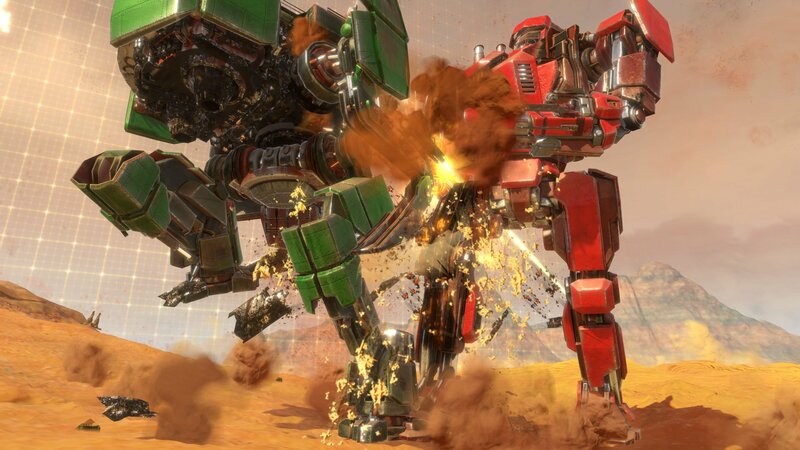 Players will be able to fully customize their mech chassis and select various types of weaponry. The game supports seamless drop-in multiplayer and has modes that can accommodate up to sixten players at once. The game stands out from the rest of the VR mech crowd by giving the player real hands that interact with all parts of the cockpit interior. You can learn more about the game at its official website.